justClickprint Online Print Publishing & Graphics Shopping Center - » Jumbo Eco-Friendly Tote Bag var admin_url = "http://www.justclickprintonline.com/wp-admin/"
These printed grocery tote bags are eco-friendly promotional products made of 100% recycled material. 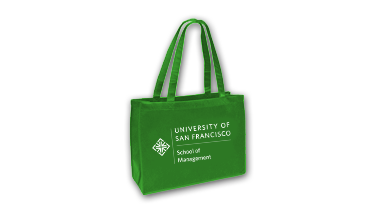 Promotional tote bags are great for groceries, shopping, holidays, trade shows and are custom printed with company logo and text. The jumbo tote bag is an eco-friendly choice and comes in a wide array of colors and sizes.